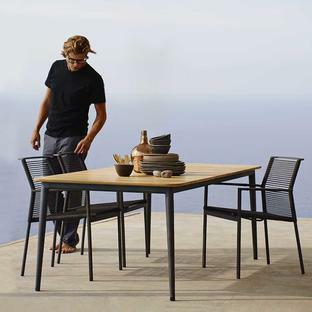 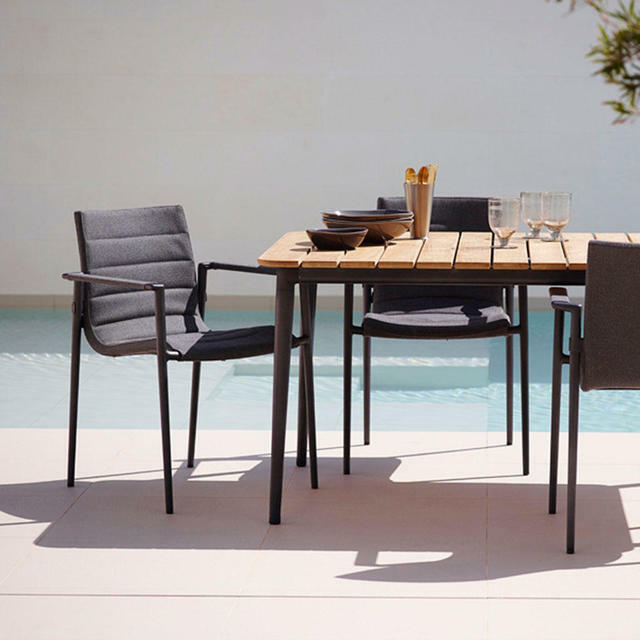 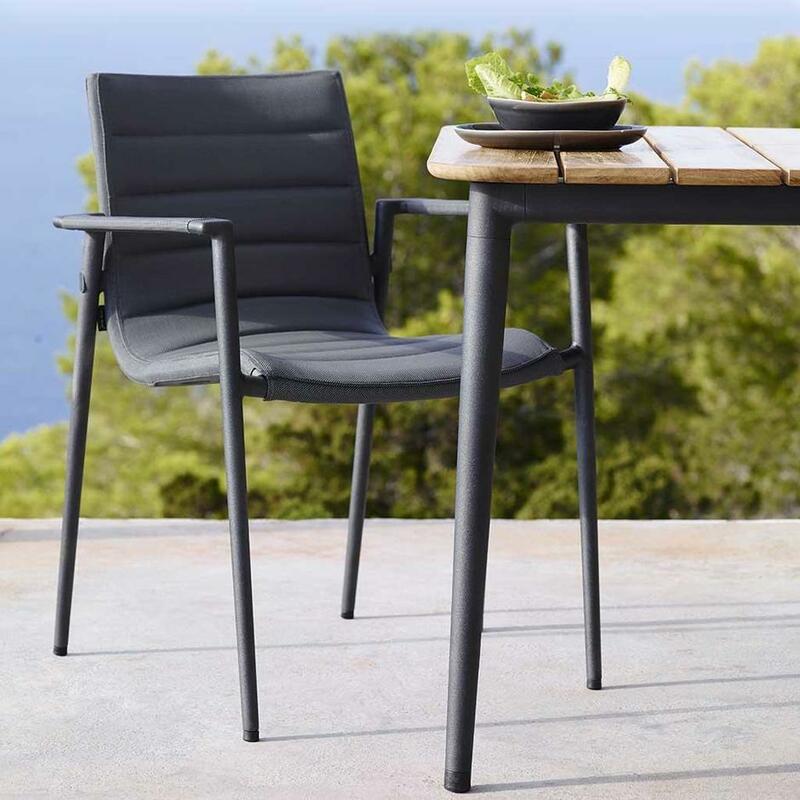 For outdoor dining with an informal style the Core chairs give that flexibility. 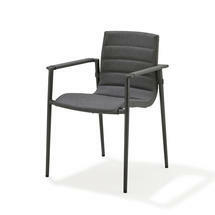 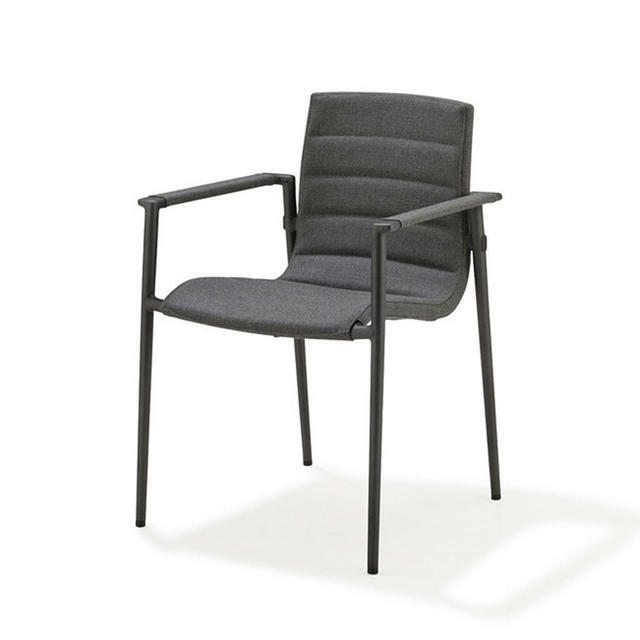 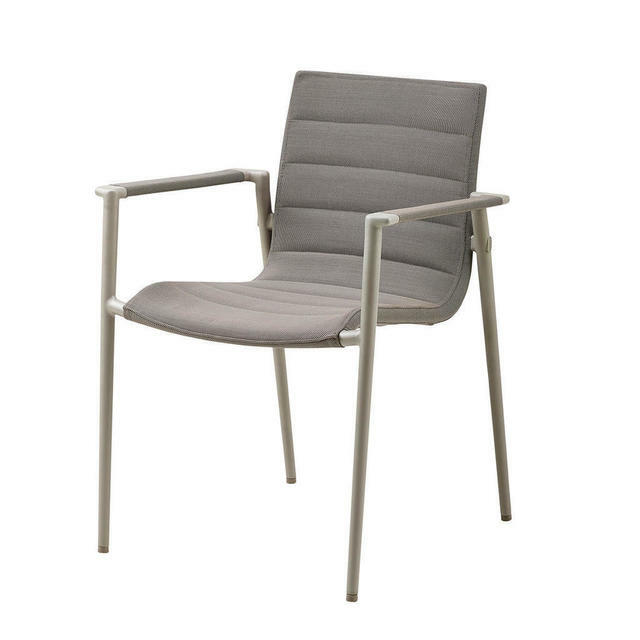 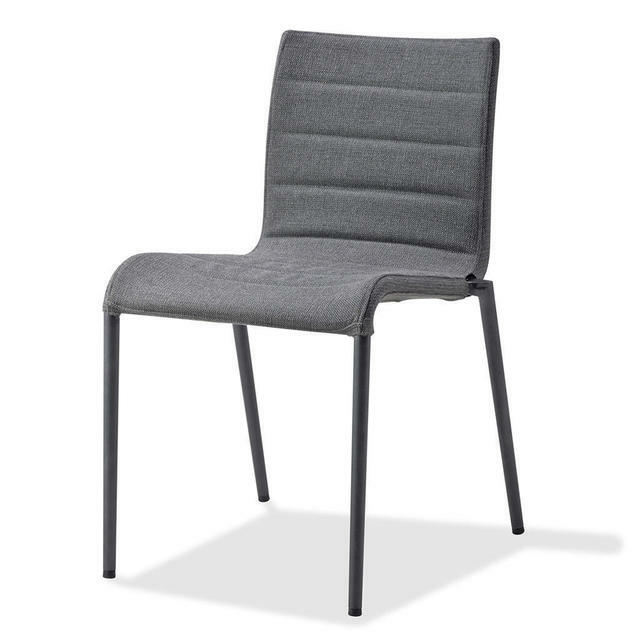 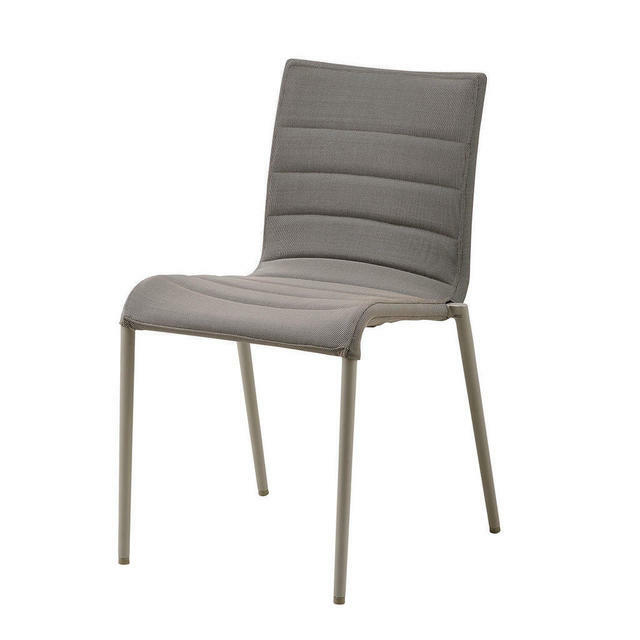 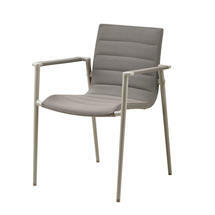 The Core chairs are on an aluminium frame with in a choice of all-weather outdoor fabric for extra comfort. Cushions are not required. Available with either Grey or Brown Soft Touch fabric. 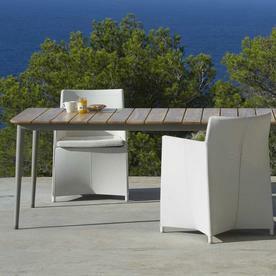 The fast drying fabric means the chairs can be left outside, and will quickly dry if it has rained. 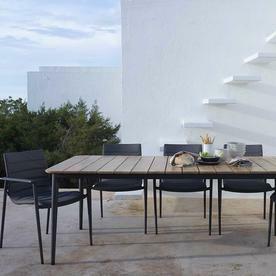 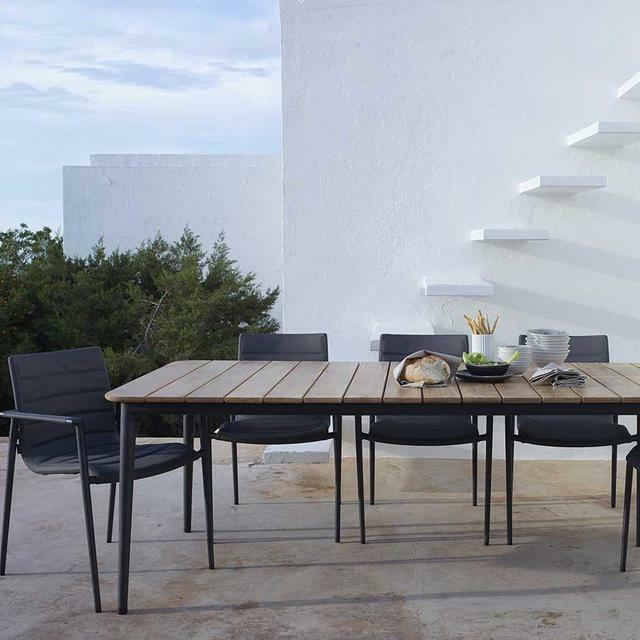 Also available in the Core collection are, outdoor dining tables, relaxing chairs and deckchairs. 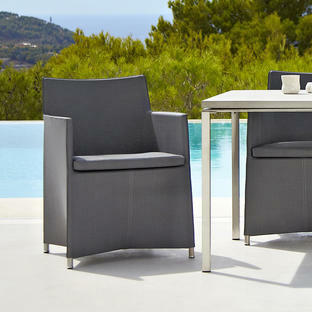 For example the Diamond dining chairs are beautifully elegant with the Core table. 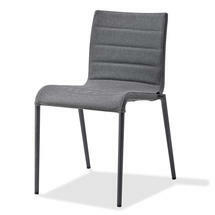 Or the Edge Rope chairs in rope fibre give a more contemporary look. 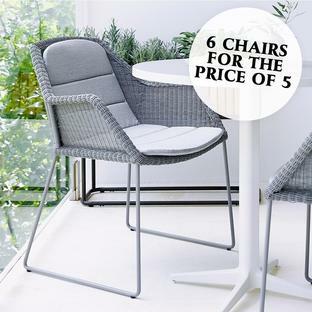 Please Note: these chairs/armchairs must be ordered as pairs only.